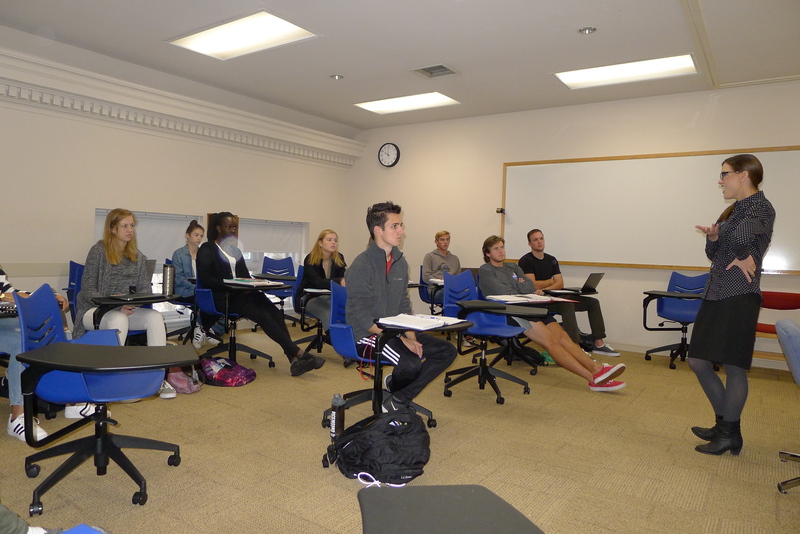 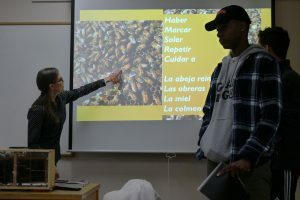 Students in Professor DeLutis-Eichenberger’s 201 Spanish classes read the short story, “La abeja haragana,” by Horacio Quiroga toward the beginning of the semester. Following the discussion of the text, Dickinson’s Bee Cooperative, The Hive, paid them a visit! 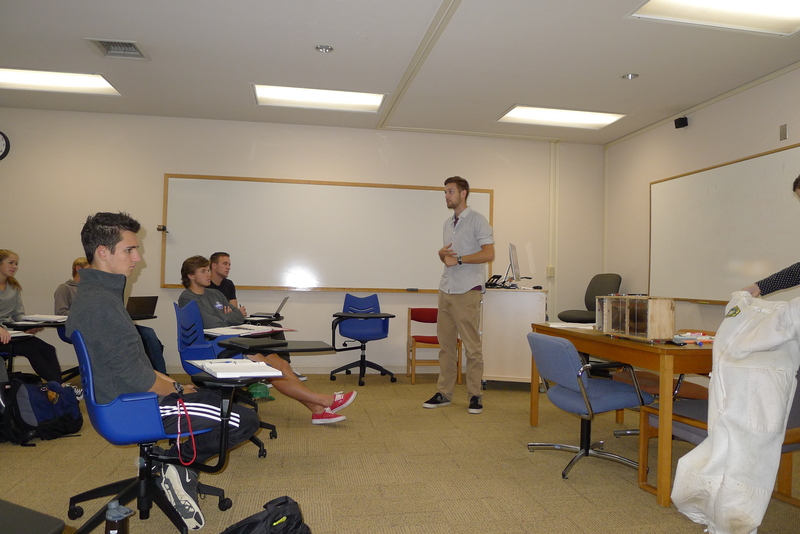 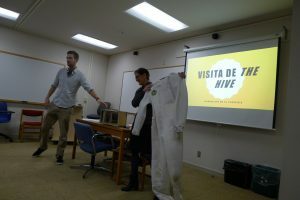 Led by Cody Rosenbarker (Sustainability Learning Coordinator, Center for Sustainability Education), The Hive brought nearly 150 live bees to the classroom in a portable frame. 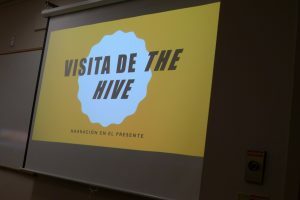 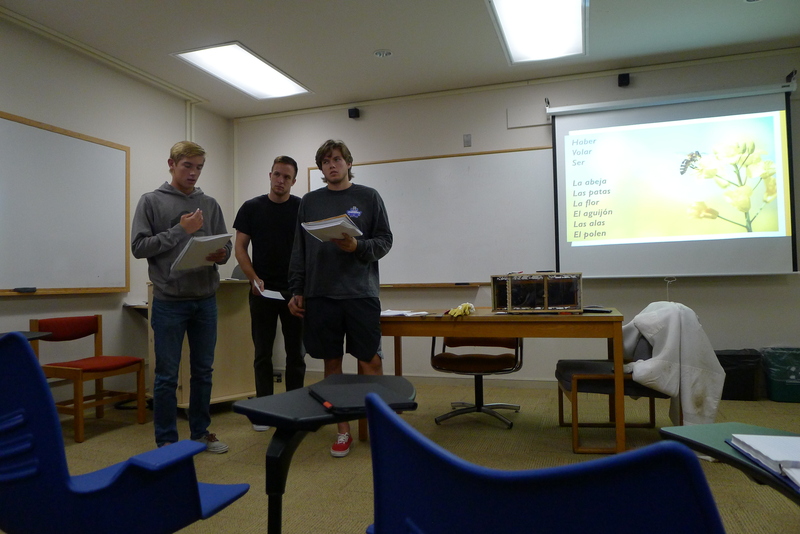 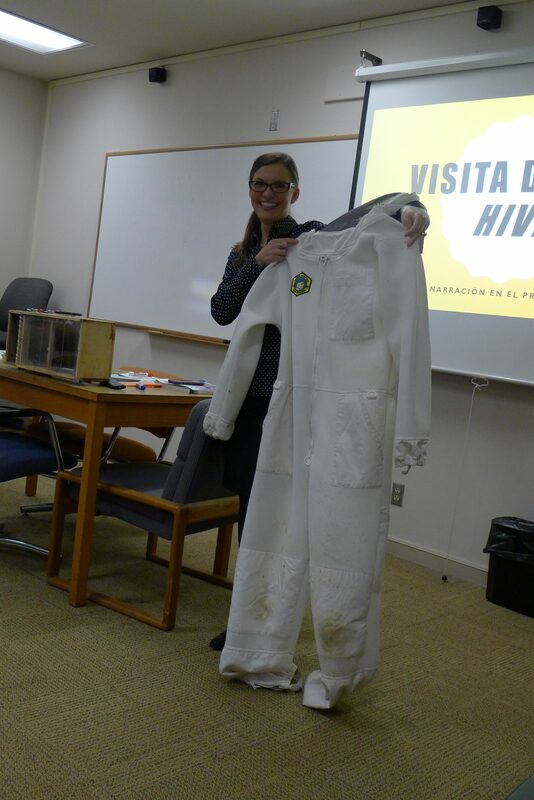 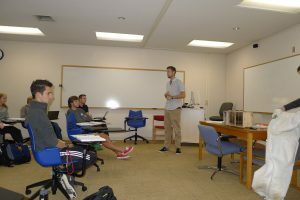 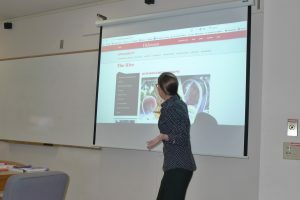 To practice grammar structures and reinforce vocabulary that appeared in Quiroga’s story, Professor DeLutis-Eichenberger’s students worked in small groups to narrate images from a PowerPoint made by The Hive, showcasing a day-in-the-life of a bee and beekeeper at Dickinson’s Bee Cooperative. 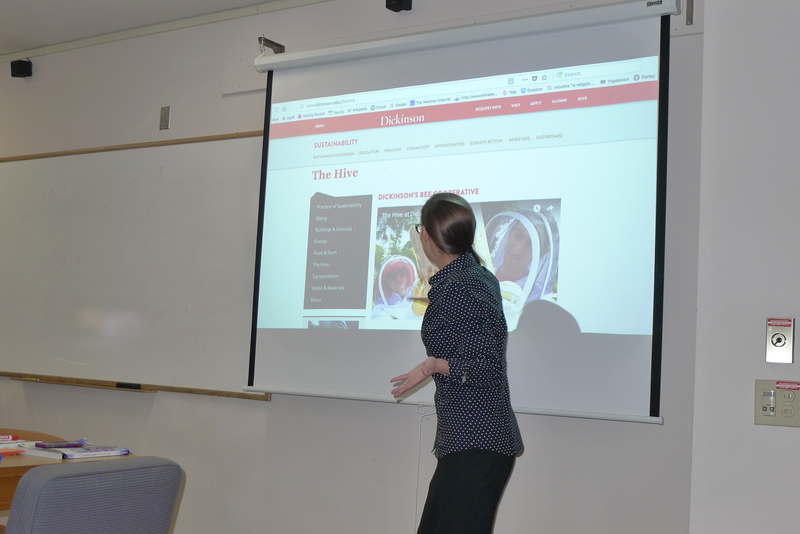 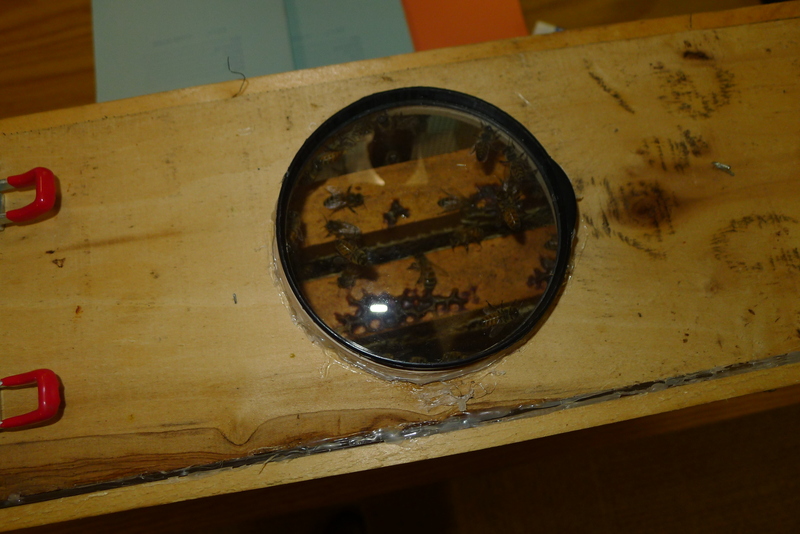 The students presented their narrations to the class and were then able to get an up-close look at their “visitors” – Dickinson’s bees! 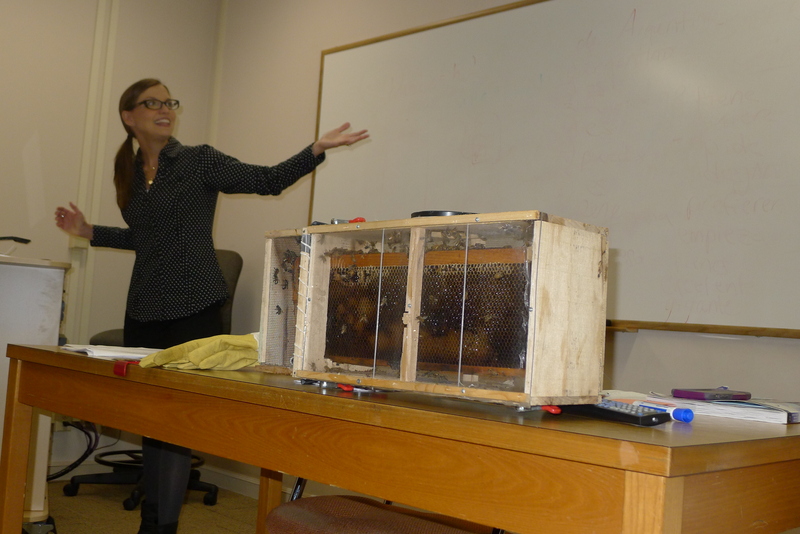 As Professor DeLutis-Eichenberger “adopted” two bees from The Hive (one for each of her 201 sections), the Bee Cooperative will provide her and the classes with updates on their sponsored bees…to let them know if their bees become “haragana” or not throughout the semester! 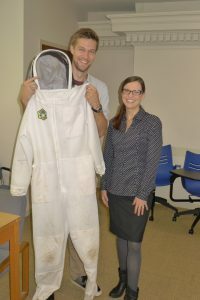 For more information on The Hive or to adopt a bee of your own, visit http://www.dickinson.edu/info/20052/sustainability/3325/the_hive.